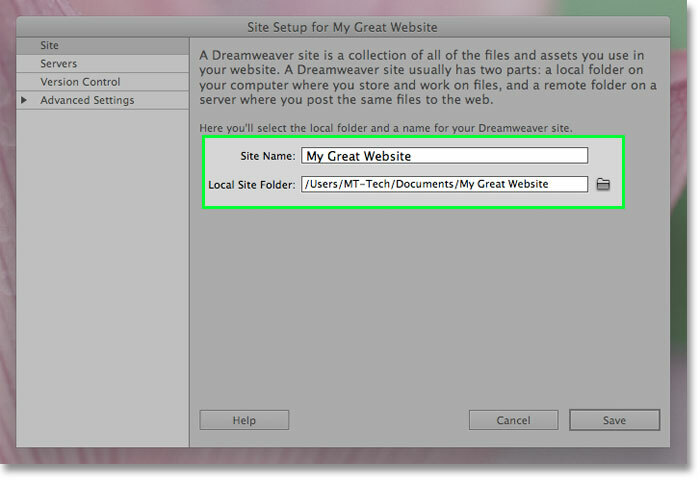 This article shows you the correct settings for using Dreamweaver to upload your website files via FTP or SFTP. (mt) Media Temple does not support third-party software. 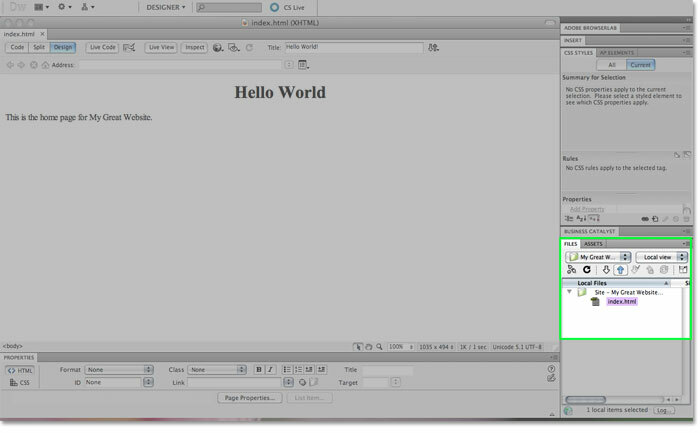 For more information on Dreamweaver, please visit http://www.adobe.com/products/dreamweaver/. 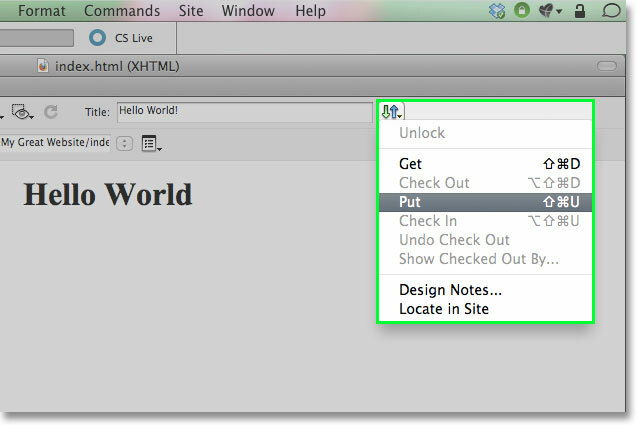 Enter your Site Name, which can be whatever you want, and your Local Site Folder. This is the path to your website on your local computer (where you want to save it as you're working). Select Servers on the left, then enter your information. Server Name: Your domain name. Connect Using: FTP or SFTP. FTP Address: Your access domain. FTP Address: Your domain or IP address. Port: 21 for FTP and 22 for SFTP. Username: Your primary domain name. Username: As set in Plesk. Password: Your password. Check Save. Root Directory for DV server: httpdocs; see note below for additional info. Web URL: http://example.com - replace with your own domain name. Replace example.com with your domain name. If this is an additional domain on the same subscription, replace example.com for the root directory for the additional domain. 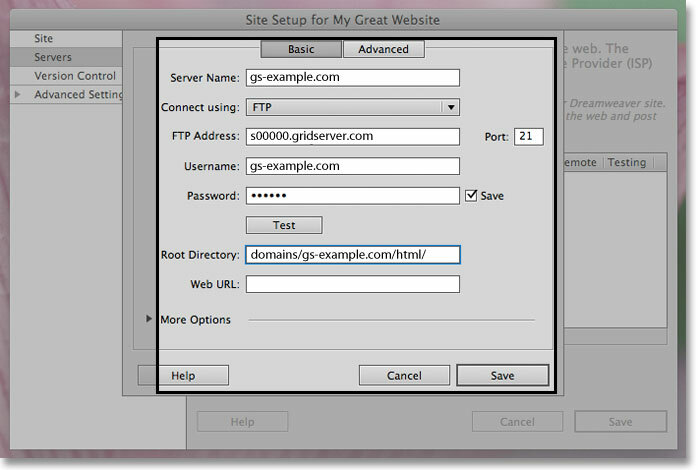 The default directory for an additional domain on the same subscription is site1. Then, click Save to save these FTP settings for your site. Click on the Files tab in the lower right box. Click on the up arrow icon to upload your file to the server. Alternately, if you already have the file open, click on the up/down arrow icon in the top right, then click on Put to upload your file to the server.